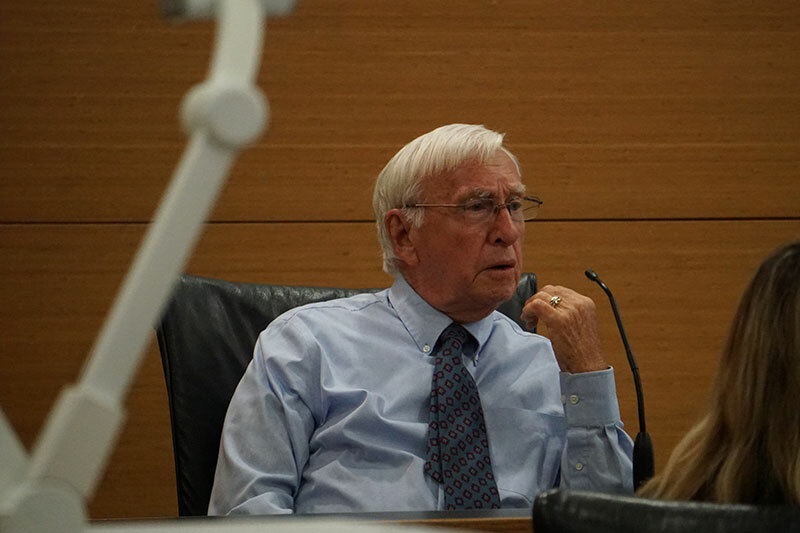 Holmes Beach resident and plaintiff Bob McCaffrey testifies Aug. 15 in a Manatee County courtroom, the first day of his and wife Ellen’s trial in their Bert Harris case against the city of Holmes Beach. The first Bert Harris case has ended with a win for Holmes Beach. Except for an anticipated appeal and ripples in the community, the case of Robert and Ellen McCaffrey came to a close Nov. 2 with a 12th Circuit Court decision. 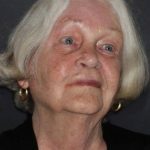 In his 23-page judgment, Judge Lon Arend ruled against the McCaffreys on two counts under the Bert J. Harris Private Property Rights Protection Act, as well as a public records count. The judgment follows Arend’s Aug. 16 decision dismissing a fourth count under the Government-in-the-Sunshine Law. 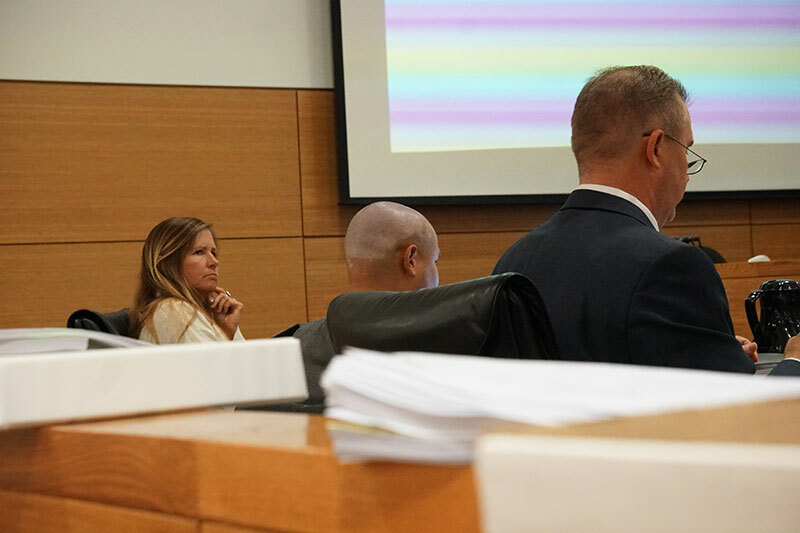 Framing the decision, Arend described how the McCaffreys sought to redevelop their parcel into a “monster” vacation rental duplex to sell it and move off Anna Maria Island. The McCaffreys assembled a team, submitted a building permit in January 2015 for redevelopment “in order to cash in on their retirement savings,” Arend wrote, recounting the testimony. To prevail under the Harris Act, the judgment states, the McCaffreys were required to prove that “a specific action” of the city “inordinately burdened” an existing use of real property — and they fell short on all counts. 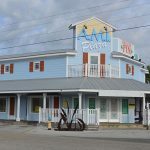 “Importantly, the final judgment is broadly constructed in the city’s favor,” said Clearwater attorney Jay Daigneault of the law firm Trask Daigneault, in an email to Mayor Bob Johnson, city clerk Stacey Johnston, insurance representatives and others. Daigneault, chosen by the city’s Florida League of Cities insurer, Florida Insurance Municipal Trust, represented the city throughout the litigation, including the three-day trial in August. The McCaffreys were represented by Fred Moore and Scott Rudacille of Blalock Walters P.A. of Bradenton. The McCaffreys alleged the city effectively denied their bid to redevelop their single-family home at 7003 Holmes Blvd. into two units of three to five bedrooms each, after considerable back-and-forth with the city building department — by citing the 2013 LAR ordinance in 2016. In Count I, the McCaffreys contended the city overburdened their development rights by applying ordinances prescribing living-area ratio restrictions, a duplex footer repeal and pool setback rules. Count II targeted ordinances involving new duplex construction rules and the vacation rental ordinance. Addressing both counts, the court rejected the McCaffreys’ effective denial argument — ruling a written denial for development or variance was required to make a claim under the Bert Harris law. The city enacted ordinances from 2013 to 2016 to address residents’ complaints about noise, parking and the proliferation of party houses. At trial, Moore, for the McCaffreys, argued the city did “all sorts of things” and the enactments aimed at R-2 development were “death by a thousand cuts” to their reasonable investment-backed expectation under the Bert Harris law. Arend’s decision states the law that was enacted in 1995 to compensate property owners for government actions, including ordinances, has been applied unfairly and that courts must strictly construe the act, including its pre-suit procedures. Prior to filing suit, owners must present their claims to the mayor with an appraisal demonstrating the loss of fair market value. At trial, Daigneault argued the McCaffreys’ August 2016 appraisal by Richard W. Bass, which alleged $341,000 in losses, did not support the loss under counts I and II and were invalid. Daigneault, as well as the judge’s decision, pointed to a prior 12th Circuit case, Morgan v. Holmes Beach, where the court recognized the fair market value must be tied to the date when the city is alleged to violate claimant rights. “They lumped the claims together” but haven’t appraised them, the city’s attorney told the court. The court also ruled that the city did not violate the public records law by failing to answer the plaintiffs’ records request for 26 days. The judgment states the delay didn’t come close to the length of delay in cases where courts found an unlawful refusal to provide public records, citing cases of 63- and 90-day delays. Daigneault also is the attorney for the city in 14 other Bert Harris lawsuits, alleging $8 million in appraised losses. Some 70 additional claims, not yet lawsuits, also have been filed at city hall. Hearing the ruling, Bob McCaffrey said Nov. 4 he was “more than happy” the judge had made a decision. “We finally have something to work with, and can start the development process,” possibly a duplex within the ordinances or a larger single-family home, he said. In addition to the claim that went to trial, the McCaffreys submitted a second Bert Harris claim based on the two-bedroom-per-unit restriction. 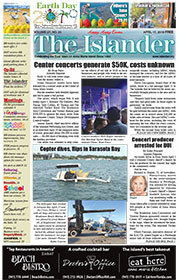 Whether they will appeal, develop or file a second lawsuit will depend on his attorneys’ advice, Bob McCaffrey said. The court retained jurisdiction over an award of attorney fees and costs. The McCaffreys have 30 days to appeal Arend’s judgment. “I am very confident that the judgment will withstand an appeal,” said Daigneault. Click here to read the entire judgment.